These running groups will get you to run a marathon instead of running after your ex – they are all the inspiration you need to lose weight and get fit! Founded by National level athletes, Striders is a fitness-training oriented group. Looking to train for fitness or a competition? They’ll help you out. Love running and want to discuss it with someone just as crazy about it as you? They are your people. Their training is all-inclusive (literally any one of any age with any body type is considered) and they also do corporate fitness events and summer camps for kids. Looking for a cheering squad for your next marathon? The Kolkata Running Squad will have your back. The group is a fun and diverse mix of people (as young as 18 and as old as 65 – the latter’s a national hurdles champion) who aim to encourage people to start running. They do everything from long, slow runs and elevation runs to boot camps. Meet a group of runners who are all about ‘We Can, We Do’. These passionate pros also engage in social activities, promote social causes and raise awareness. They are also enthusiastic about cross-fit training and encourage their runners to swim, cycle, do yoga and keep themselves mentally healthy. 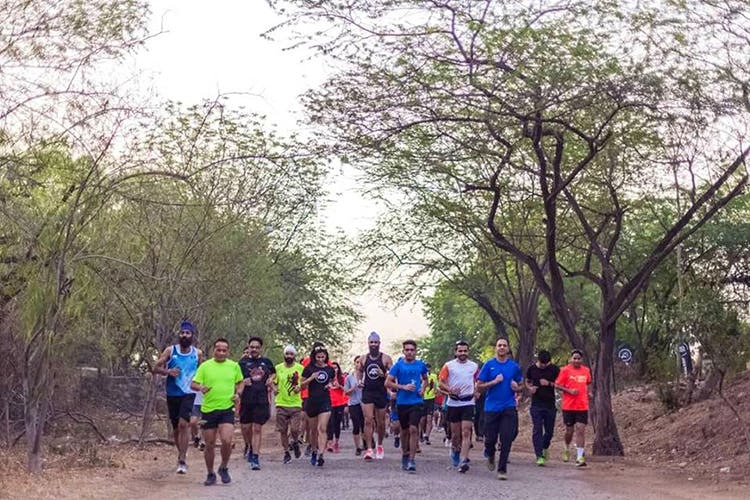 Not strictly a running group, India Running is more of an online community that keeps you posted on running-related activities going on in your city. Whether it’s allowing you easy registration for runs, keeping you in the loop about upcoming events or suggesting venues and facilities, it’s your one-stop guide to running. Interact with other sports-crazy people who you can bond with over nutrition, tips and tricks and more. You can also get the details on cycling races, triathlons, team sports and other fitness-related activities on their website. Join the running revolution with The Reebok Running Squad, an absolutely free training programme that will help you train for distance-running events. Kolkata is one of the eight cities they are set to operate in. If you are out to improve your stamina, endurance and strength, they can help you out. From beginners to advanced everyone is welcome.